Staying Alive website is now live! Team IceStar are happy to start the week off with another website launch! 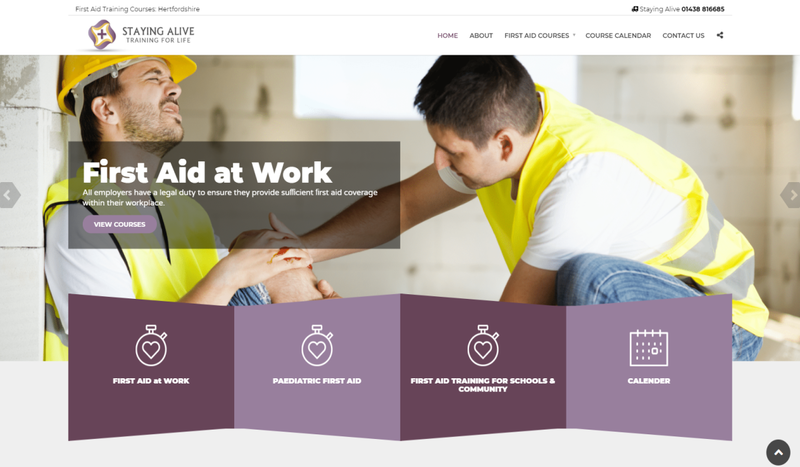 Our latest website for Stevenage based First Aid Trainers Staying Alive is now live, featuring a calendar of training course dates as well as detailed information about what is covered in each course this is website launch 107 for us! The website also includes a First Aid Requirements Calculator for employers. Our client contacted us to re-develop their existing website that needed a makeover and we look forward to working with them to grow their online presence as we are also managing their social media marketing for them.